In January my wife and I joined a group of other pastors and their spouses and made a pilgrimage to the Holy Land. It was a very moving experience. I kept a running journal of the experience so that I could reflect on the experience after I returned. Over the next few days I will share some of what I sensed while on this life changing trip. To be honest, we had some nervousness about traveling to Israel. After all, everything we see and hear on the news makes it sound like that part of the world is in constant turmoil. Even now the news is filled with scenes of the revolution in Egypt, which is right next door to Israel. But friends assured us that Israel was stable and safe and our faith in the Lord filled us with a holy confidence that everything would be okay. We did find the nation to be quite secure, however, there is an underlying tension brewing just below the surface. I believe it is caused by rampant racism. I got my first taste of what it must be like to live in a land with a history of ethnic struggle within minutes of getting on the plane. I was in the middle seat with an ultra-Orthodox Jewish man on one side and a man who was apparently Arab on the other side. The Jewish man was quite friendly and immediately engaged me in conversation and asked if I was Jewish and if I knew Hebrew. I told him I was Christian and only knew English. Undeterred, the Jewish man asked all about where I lived, my family, why I was visiting Israel, etc. He was clearly interested in a congenial conversation. The other man made lots of snorts and mumblings at the various things the Jewish man had to say and he became more and more agitated. He put his leg over into my section, leaned his arm over my armrest, etc. It was clear that he was trying to make my trip uncomfortable. I tried to speak to him in the same kind way that I spoke to the Jewish man, but he simply turned away. Even after my conversation with the Jewish man ended and the in-flight movie started, the Arab man kept finding ways to put his belongings under my seat or leave a jacket half way over the armrest so I had to lean away from him, etc. Though I cannot know exactly what was in that second man’s mind, I sensed that he was upset that I had such a friendly conversation with the Jewish man beside me. His sense of frustration grew with each hour of the plane ride as did his constant efforts to make own trip uncomfortable. It was sad to see that he could not relax and enjoy himself simply because a Jewish man two seats over had a positive experience. Though America is by no means a perfect nation when it comes to race relations, it is rare for us to see public displays of anti-Semitism. Such displays are normally confined to a few radicals with “wanna-be Nazi” delusions. To see a well dressed business man display such attitudes was a bit eye opening for me. At this point, some of my readers are thinking that I am being unfair to the Arab man and portraying the Jewish man in a more positive light. Well, the situation changed once we got off the plane and we were in “Jewish territory.” We were met by our Jewish guide and he led us around the nation for the next five days. At every opportunity he bashed the Arabs and told us how much they had damaged his nation. At one point his racial prejudice became so great that several members of the group pointed it out to him. That calmed him down for about an afternoon, but the next day he was back at his anti-Arab conversation. He did not seem to be aware of how racist he was. It was simply too ingrained within him. It was clear that racism is common place in the Promised Land and that fills my heart with sadness. As I pray for the peace of Jerusalem, I pray for those who live in that land to see each other as people created in the image of God and to treat each other accordingly. Clearly racism is ingrained in both the Jews and the Arabs and no lasting peace can come until they overcome it. I have also been praying for my own heart, asking God to help see if I have any built in racism in my own life that I do not even recognize. Lord, fill us with love for each other and help us see beyond our ethnicity to find the special creation we all are in the eyes of God, and Lord, bring peace to Jerusalem. You can read about the entire trip in the devotional book Touching the Footprints of Jesus. Recently Dave Jacobs, president of Small Church Pastor.com, interviewed Dr. Terry W. Dorsett about the value of delegation in the small church. Dave: Terry you serve on the North American Mission Board of the Southern Baptist Convention. What are your responsibilities with them? Terry: My primary role with the NAMB is to facilitate the starting of new churches in Vermont. Dave: Tell my readers a little bit about your church. Terry: Six years ago a group began meeting in my home for Bible study. We were all attending churches in other towns and just wanted some fellowship between believers in our own town. After meeting for three months for Bible study, we felt that God was leading us to start a new church right in our own town. We have around 180 on Sunday mornings, most of whom are under 40 years old. Because I travel a lot with the Baptist convention, I am only at church two Sundays a month. Our lay elders and ministry interns preach the other two Sundays. We take on an intern each year and then send him out to start a new church in another town at the end of the year. We have done this 3 times so far in our six year history. Dave: Your new book: Developing Leadership Teams in the Bivocational Church encourages pastors to share their ministry responsibilities with those members of their church who are interested in partnering with them. This, of course, brings up the topic of delegation. Why are some pastors hesitant to delegate? Terry: There are a number of reasons why pastors do not delegate. The most obvious is that they are under the mistaken impression that the pastor is supposed to do it all. The second reason pastors do not delegate is because the lay people have not been trained to do ministry. We must train lay people to actually serve alongside their pastors doing front line ministry. Finally, some pastors do not delegate because they are co-dependent. They need to be needed by their congregation, so they enable the lay people to do very little so that the church needs the pastor to fill in the gap. This is the saddest of the three reasons and one that most pastors are not willing to be honest about. Dave: What steps does a pastor need to take in order to delegate effectively? Terry: First, a pastor must accept that he cannot do it all, nor should he try. Second, a pastor must look at his strengths and weaknesses to determine which areas he needs the most help in. Third, a pastor must then recruit people who are strong in areas in which he is weak in and then train them and release them to do ministry. Dave: We’ve all made our fair share of mistakes in putting someone in leadership. How does a pastor know if he has found the right person to share his ministry with? Terry: A pastor prays about whom might become leaders, discusses with other godly people who might be good leaders and then begins to recruit and train those people to be leaders. If somewhere along the way the process falters, the pastor just has to get back up and try again. A pastor who delegates will occasionally get a dud. Dave: So let’s say the pastor finds someone to delegate/share a ministry with. They train them and release them, but down the road the pastor regrets their decision. What now? Terry: That is a hard one. I can honestly say that I have never regretted investing in another person. There have been times that I did not see the return on my investment that I had hoped for. But in the end, investing in people is always the right thing to do. It will eventually produce fruit down the road; even though another pastor might be the one who gets to harvest that fruit. Dave: You’ve got a lot of years behind you in pastoral ministry. If there was one piece of advice you would give to someone starting out what would it be? Terry: Sorry, but I have to give you two pieces of advice, because they go together. Young pastors just starting out need to find a mentor they can share their heart, their struggles and their joys with. That mentor will help them gain wisdom they need to be a great pastor. That same young pastor must also find someone else to mentor, pouring their own life into that other person. There is something about taking in wisdom and then giving that wisdom to others that makes the wisdom “stick” better in our own lives. In addition to my church planting ministry across the state of Vermont, I also serve as the pastor of Faith Community Church in Barre, Vermont. Though I preach in churches of all types and sizes across the state and down the East Coast, I have grown to deeply appreciate Faith Community Church for it's huge love for a diverse group of people. The church has long been known for reaching young adults and continues to be a very "young" congregation. But the church also has made it a point to welcome people from a diverse racial background. Though Vermont is 97.8% Anglo, the congregation is one of the most ethnically mixed in the state. The church has regular attendees from Brazil, Nigeria, Ghana, Belize, Puerto Rico, Vietnam, Korea, Canada and of course the United States. The church also has a growing number of African Americans. While such a racial mix might be common in more urban areas, Faith Community Church is located in a small community of less than 15,000. The church sees this racial and ethnic mix as a strength. Each person brings their own unique personality and culture to the church. The church as a whole is stronger because of the diversity within the congregation. Those of us who worship at Faith Community Church on a regular basis see our Sunday morning services as a prelude to what heaven will be like, when people from every nation, tribe and language worship together before the throne. 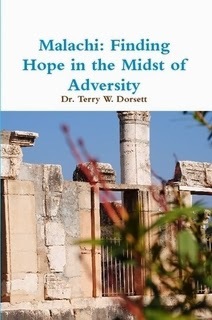 This is an outline for a sermon developed by Dr. Terry W. Dorsett and preached at Faith Community Church on January 16, 2011. Proverbs 29:18 - Where there is no vision, the people perish: but the one who keeps the law will be happy. • A “hazon” vision is one that God Himself puts in our hearts. • This kind of vision is a command from God that must be obeyed. It is not a suggestion, nor an option. • In that sense, this kind of vision can be dangerous because that if we do not follow it, we will perish. • People who have no clear vision of what God wants them to do slowly waste away and become unusable. • “Para” can also mean “to lose all restraint” or to become a wild person. • When people have no clear word from God, they lose all their natural inhibitions and go wild. • That wildness will can also result in them become unusable for anything. • The word “law” refers to the Word of God, which is the Bible. • We live in a day in which a lot of people no longer believe the Bible. • Even those who claim to believe often ignore the Bible’s teachings when it is inconvenient to daily life. • But living according to the Bible’s teachings leads to happiness. • If we want a satisfying life, we must learn to obey God’s Word. • The principles and concepts in the Bible are not just arbitrary statements by God, they actually have a purpose. • God is trying to keep us from pain and help us have a satisfying life. • When we ignore God’s advice, we reap the natural results of our choices. • We must ask ourselves what is God’s vision for our lives. • The real question is not what OUR vision for our lives may be, but what is GOD’S vision for our lives. • When we discover God’s vision for our lives and we begin to follow it, then we will have the most satisfying life possible. • While we all have some special things that we are supposed to be doing for God, there are also some common things that ALL Christians should be doing. As we obey those common things that we find in God’s Word, we will discover the special things that are unique to us as individuals. • Luke 14:23 - Then the master told his servant, 'Go out to the roads and country lanes and make them come in, so that my house will be full. • Jesus told a parable about a rich person who invited a lot of people to come to a big banquet he was holding. • For a variety of reasons, most of the invited guests did not show up. • So the master of the house told his servants to go find as many people as they could and bring to the party so the house would be full. • Jesus is the Master of the Universe. • He has invited us to party in heaven with Him for eternity. • But most people have ignored that invitation. • Therefore God has told us to go find anyone we can and bring them in. • We do not need to look for “church people” to invite to church. We should be looking for ANY people to invite to church. • Part of God’s vision for each Christian is that we would be involved in evangelism. • Evangelism is not just the pastor’s job, it is everyone’s job. Matthew 28:19-20 - Therefore go and make disciples of all nations, baptizing them in the name of the Father and of the Son and of the Holy Spirit, and teaching them to obey everything I have commanded you. And surely I am with you always, to the very end of the age." • We GO and make disciples. • Then we continue to teach them to obey what Jesus commanded. • If we get these steps out of order then we are not fulfilling God’s vision. • We are not just to convince people to come to church; we are to disciple them in the Christian faith. • Discipling a person means taking the time to talk to them about what is going on in their lives and help them learn how to apply the Bible to those daily experiences. • It can be done formally, with a book or study course. • It can be done informally, through relationships and conversations. • But it MUST be done. • Discipling others is not just the pastor’s job. • Parents should be discipling their children. • Older women should be discipling younger women. • Older men should be discipling younger men. • If we lead a person to faith in Christ, we should take the initiative to disciple them. • Part of discipleship is to help people understand what baptism is. • Baptism is one of the first steps new Christians should take. • If people have been Christians for a while but somehow missed this step, they should go back and take this step as part of their discipleship process. • We should also teach newer Christians some basic Christian stuff such as; how to read and study the Bible, how to use the Lord’s Prayer, the importance of obeying the Ten Commandments, to memorize Psalm 23 and the Beatitudes and the importance of regular church attendance. • We should help new Christians discover their place of service in the church. • Discipleship takes time but it is an important part of God’s vision for His people. • We should look for ways to increase our own level of discipleship and we should be discipling someone else. • Discipleship is a life-long aspect of our faith so that we never stop growing in Christ. • James 1:27 - Religion that God our Father accepts as pure and faultless is this: to look after orphans and widows in their distress and to keep oneself from being polluted by the world. • Orphans and widows represent the most helpless in society. • Matthew 25:35, 40 - For I was hungry and you gave me something to eat, I was thirsty and you gave me something to drink, I was a stranger and you invited me in, I needed clothes and you clothed me, I was sick and you looked after me, I was in prison and you came to visit me.' . . . 'I tell you the truth, whatever you did for one of the least of these brothers of mine, you did for me. • Both of these verses remind us that God wants to use US to take the Gospel to the ends of the earth. • That is why our church gives a lot of money to support a network of missionaries through the Baptist convention. • It is also why we encourage our young adults to take mission trips to other countries to share Jesus. • It is why we pray and ask God to bring people from every nation to faith in Christ. • Missions is not just for the “professional missionaries.” It is for all of us to pray, give and participate in. As we do these things that ALL Christians are called to do, God will help us also discover the special vision that He has for us that is unique to us. Are we willing to join God in His vision? A sermon developed by Dr. Terry W. Dorsett based on selected scriptures from Psalms, Proverbs, Luke and 1 Corinthians and preached at Faith Community Church, Barre, VT, on January 5, 2011. We constantly have to make decisions in life. Some of those decisions are easy to make and do not require great thought. Other decisions are more complicated and have lasting effects on our lives. When facing big decisions, how do we know which choice to make? This lesson gives four steps that will help us make good decisions. 1. We must first make a commitment to do what the Bible says. Any decision that would go against the Bible is a decision that will eventually lead to pain in our lives. Psalm 119:101-105 - I have kept my feet from every evil path to follow Your word. I have not turned from Your judgments, for You Yourself have instructed me. How sweet Your word is to my taste—sweeter than honey to my mouth. Your word is a lamp for my feet and a light on my path. • It is important not to misuse the Bible. It is tempting to twist a verse to make it way what we want it to say, but that will not lead us to good decisions. • The Bible will keep us from evil choices. Evil is the complete absence of good. We never want to make a choice that has no good in it at all. • The Bible gives us God’s judgments, which are always superiors to people’s judgments because God sees the whole picture and people just see part of the picture. • Following the Bible should leave a “sweet” taste in our spirit. • The Bible sheds light in the darkness so we go the right way. 2. We must also spend time praying. We are unlikely to make good decisions if we have not spent quality time praying about the choices we have to make. Luke 6:12-13 - During those days He went out to the mountain to pray and spent all night in prayer to God. When daylight came, He summoned His disciples, and He chose 12 of them to be His apostles. • In Luke 6 Jesus was trying to decide who He would choose to be His apostles. • This was a huge decision because the apostles would be the ones to carry on the work of Christ after He was crucified. • Jesus spent all night in prayer about which people to choose as His apostles. • When trying to make a big decision we too often either skip prayer or only pray for a short while. • We need to pray long and hard about the big choices in our lives. 3. We must consider all the options and stay focused when trying to make a big decision. It is easy to get sidetracked when we are trying to make a big decision. That usually results in us making a bad decision. Proverbs 4:25-27 - Let your eyes look forward; fix your gaze straight ahead. Carefully consider the path for your feet, and all your ways will be established. Don't turn to the right or to the left; keep your feet away from evil. • When trying to make a big decision we have to stay focused on the BIG picture of whatever we are trying to accomplish so that we do not get side tracked by things that might not really be important. • We have to give careful consideration of the BIG picture BEFORE making a decision instead of just doing the first thing that pops into our mind. • Anything that will lead us down a path toward evil should be avoided. 4. We must consider how our decisions impact others and then make the choice that is BEST for everyone involved. 1 Corinthians 8:4, 7, 13 - About eating food offered to idols, then, we know that "an idol is nothing in the world,” and that "there is no God but one." However, not everyone has this knowledge. In fact, some have been so used to idolatry up until now, that when they eat food offered to an idol, their conscience, being weak, is defiled. Therefore, if food causes my brother to fall, I will never again eat meat that has been offering to idols, so that I won't cause my brother to fall. • When this scripture was written, many people worshipped idols instead of God. • A big part of idol worship was to leave a piece of meat in front of the idol for it to eat. • Obviously the meat was never eaten because an idol is just a statue, not a living being. • After the meat had sat around a while, it would be sold at the market at a discount because it was old. • Some Christians bought this cheap meat because they were poor and it was all they could afford. • Other Christians thought this meat was cursed because it had been used in worship to an idol. • The apostle Paul said that since the idol was just a statue, it had no power to curse the meat. • Therefore, if Christians wanted to eat it, they could. • BUT – Paul also pointed out that if eating the meat was going to confuse some Christians who did not understand that it was okay to eat, then good Christians should not eat it. • Basically, Paul was saying that good Christians will take into consideration how their choices affect the people around them. • We are all part of a “group.” Those groups include family, friends, sports teams, work crews, youth group, Sunday School classes, and the church. What we do affects the whole group. Christians should care about that and take it into consideration when they make decisions. • NOTE: This does not mean that Christians should give in to peer pressure. It just means they should think about how their actions affect others. There are times when our choices will have a negative impact on others but it is still the right thing for us to do. But we owe it to the rest of the group to consider that impact before making the decision. • Make a commitment to do what the Bible says. • Consider all the options and stay focused. • Consider how our decisions impact others, and then make the choice that is BEST for everyone involved. A sermon developed by Dr. Terry W. Dorsett based on Jeremiah 29:11-13 and preached at Faith Community Church, Barre, VT, on December 29, 2010. For I know the plans I have for you, declares the LORD, plans to prosper you and not to harm you, plans to give you hope and a future. Then you will call upon me and come and pray to me, and I will listen to you. You will seek me and find me when you seek me with all your heart. • This passage was written by the prophet Jeremiah approximately 600 years before Christ was born. • Most of Jeremiah’s friends had abandoned all faith in God and were focused on doing whatever they wanted to instead of following the Lord. • Jeremiah was watching everything around him fall apart. • Jeremiah’s situation is not that much different than our own. • Today’s teens see few of their peers acting like Christians or following any kind of faith. • 65% rarely or never pray with others, and 38% almost never pray by themselves either. • 65% rarely or never attend worship services. • 67% don't read the Bible or any sacred texts. • Today’s teenagers are entering adulthood at a time in which jobs are scarce and the cost of living is going up. • Today’s teenagers see their nation mocked around the world by terrorists sworn to destroy us. • It would be extremely easy for today’s teens to become discouraged about life and become filled with bitterness and anger. • And yet, there is hope . . . .
Verse 11 - For I know the plans I have for you, declares the LORD, plans to prosper you and not to harm you, plans to give you hope and a future. • God spoke to Jeremiah and reminded him that God had big plans for Jeremiah. • God’s plan was to prosper Jeremiah, not to harm him. • Though Jeremiah went through some very difficult times that FELT harmful, in the end, God worked out all that stuff for good. • We often go through difficult times in life. • We may wonder how those difficult things will work out, but we must remember that God never stops working behind the scenes to convert difficult situations into good results. • We have to trust God and wait for His timing. • God’s plan includes hope. What is hope? • Sometimes we focus on the mistakes or difficulties of our past, which leaves us feeling frustrated. • God’s plan focuses on the future. • Why must we focus on the future? • We must learn to look beyond past frustration and find hope in every situation. • We must learn from the past but not be trapped by the past. • We must look to the future and walk forward boldly trusting God to guide us along the way. Verse 12 - Then you will call upon me and come and pray to me, and I will listen to you. • The way we will find hope in difficult times is to call upon the Lord. • When we talk to the Lord, He takes away frustration, fear, anxiety, anger, stress and other negative emotions and replaces it with hope. • Prayer can make a real difference in our lives if we will practice it regularly. • Sometimes we may wonder if God really hears our prayers. This verse reminds us that God does listen to us when we pray to Him. • God not only listens, God answers! • How does God answer prayer? • God answers prayer through the Bible, the church, circumstances and through the Holy Spirit. We must learn to listen to His voice. Verse 13 - You will seek me and find me when you seek me with all your heart. • Perhaps we have tried to pray in the past and it did not seem like God heard us. • Perhaps we tried to listen to God speak but just couldn’t seem to hear His voice clearly. • This verse reminds us that we will find God when we seek Him with ALL our heart. • If we are honest we would have to admit that we seldom seek God with ALL our heart. • We tend to give God our leftovers. • We give God our leftover time. • We give God our leftover energy. • We give God our leftover talents. • And when we do not have any leftovers, then we give God nothing. • If we want the hope for the future that God promises, we must give God more than leftovers. • How can we give God more than leftovers? • There are many ways we can do this, but it starts with having a real relationship with Jesus Christ. • We must have more than just ritualistic religion. • We must have a real relationship with Jesus Christ that begins with an acceptance of who He is and what He has done for us. • Once we have a relationship with Christ by accepting Him as Lord and Savior, then we can grow in our relationship with Him. • We grow through having a daily quiet time of Bible reading and prayer. • We grow by REALLY worshipping Him at church. • We grow though baptism, communion and similar spiritual experiences. • We grow by looking for ways to include God in our daily lives, not just when we are at church. • The world can be a rough place but we can face the world with hope for the future. • Hope for the future comes when we pray about our decisions. • Hope for the future comes when we listen to what God says to us in our lives. • Hope for the future is strongest when we seek God with all our hearts instead of just with our leftover energy, time, efforts, etc. A sermon developed by Dr. Terry W. Dorsett based on Malachi 4:1-6 and preached at Faith Community Church, Barre, VT, on January 2, 2011. • Malachi is the last book of the Old Testament. • Many people view Malachi negatively because it talks a lot about judgment. • But it is actually a message of love because God is trying to warn people one last time before it is too late. • We should listen to its warnings with a heart of love instead of a heart of defensiveness. • Chapter 3 began with refiner’s fire. Refiner’s fire does not destroy, it purifies. • God wants to use the difficult things in our lives to make us better people, not to destroy us. Will we let Him? • Chapter 3 ends with the warning that one day we would all reap what we have sown and the difference between the righteous and the wicked would be made clear. We know this instinctively. Verse 1 - Surely the day is coming . . . All the arrogant and every evildoer will be stubble, and the day that is coming will set them on fire . . .
• Chapter 4 opens with a description of what happens when the Day of Judgment finally comes. • Most of us do not like to think about judgment day, but avoiding the topic will not make it go away. • Judgment day will happen eventually. • The first time Jesus came, He came as a baby in manger. • The next time He comes, He will come as a judge. • For those who have followed Him, there is nothing to be afraid of. • For those who have not followed Him, fear is appropriate! When will that day happen? • Only God the Father knows exactly when that last day will come. • Matthew 24:35-36 - Heaven and earth will pass away, but My words will never pass away. Now concerning that day and hour no one knows—neither the angels in heaven, nor the Son except the Father only. • God is keeping the date of that day a secret so that we cannot live like the Devil and then try to get right the day before Jesus returns. • We do not need to invest countless hours trying to figure out when that day will be because it will be a surprise. • 1 Thessalonians 5:1-2 - About the times and the seasons: brothers, you do not need anything to be written to you. For you yourselves know very well that the Day of the Lord will come just like a thief in the night. • Thieves come when we least expect it. • Likewise, that last day will come as a surprise. • God is delaying that day so that everyone in the world will have a chance to hear the Gospel and respond. • 2 Peter 3:9-11 - The Lord does not delay His promise, as some understand delay, but is patient with you, not wanting any to perish, but all to come to repentance. But the Day of the Lord will come like a thief; on that day the heavens will pass away with a loud noise, the elements will burn and be dissolved, and the earth and the works on it will be disclosed. Since all these things are to be destroyed in this way, it is clear what sort of people you should be in holy conduct and godliness. • God’s timing is not our time. • God is not willing that any of His chosen ones should perish. • God is waiting for the last person who is going to believe to have the same chance as the first person. • Then the end will come, and it will not be pretty. • Since we do not know when the end will be, our focus must be on living holy lives until Jesus returns. • Once the Gospel has been preached to every corner of the world, then the end will come. • Matthew 24:14 - And this gospel of the kingdom shall be preached in all the world for a witness unto all nations; and then shall the end come. • According to the “Joshua Project” there are 6,918 people groups around the world that still have no access to the Gospel. • While that may sound like a lot, only a few years ago there were more than 10,000 such groups. • One day very soon we will see the fulfillment of Revelation 7:9-10 . . . there was a vast multitude from every nation, tribe, people, and language, which no one could number, standing before the throne and before the Lamb. They were robed in white with palm branches in their hands. And they cried out in a loud voice: Salvation belongs to our God, who is seated on the throne, and to the Lamb! • First the Lord will come back and gather up all His followers and take us to heaven. • 1 Thessalonians 4:16-17 - For the Lord himself will come down from heaven, with a loud command, with the voice of the archangel and with the trumpet call of God, and the dead in Christ will rise first. After that, we who are still alive and are left will be caught up together with them in the clouds to meet the Lord in the air. And so we will be with the Lord forever. • On that day we will be changed and all our imperfections will finally be removed in an instant. • 1 Corinthians 15:51-53 - Listen, I tell you a mystery: We will not all sleep, but we will all be changed— in a flash, in the twinkling of an eye, at the last trumpet. For the trumpet will sound, the dead will be raised imperishable, and we will be changed. • On that day we will all give an account of ourselves and our relationship with Jesus. • Romans 14:10-12 For we will all stand before the judgment seat of God. For it is written: As I live, says the Lord, every knee will bow to Me, and every tongue will give praise to God. So then, each of us will give an account of himself to God. • Those who had a relationship with Jesus will enter into the eternal reward of heaven. • Matthew 25:31-34 - When the Son of Man comes in His glory, and all the angels with Him, then He will sit on the throne of His glory. All the nations will be gathered before Him, and He will separate them one from another, just as a shepherd separates the sheep from the goats. He will put the sheep on His right, and the goats on the left. Then the King will say to those on His right, 'Come, you who are blessed by My Father, inherit the kingdom prepared for you from the foundation of the world. • Those who did not have a relationship with Jesus will have no place left to go but to the eternal punishment of hell. • Matthew 25:41, 46 - Then He will also say to those on the left, ‘Depart from Me, you who are cursed, into the eternal fire prepared for the Devil and his angels!’ And they will go away into eternal punishment, but the righteous into eternal life. • Note that hell was never designed for people. • Hell was designed for the Devil and his demons. • But for those who reject Jesus, there is no other place for them to spend eternity, so they go to hell. Verse 2 - But for you who revere my name, the sun of righteousness will rise with healing in His wings. And you will go out and frolic like well-fed calves. • Those of us who have discovered a relationship with Jesus will not experience eternal judgment. Instead we will finally experience healing from the sun of righteousness! • Jesus is the sun of righteousness because He is the Light of the world and the only person who was ever completely righteous. • What does it mean that He will have healing in His wings? • In those days, Jews wore an outer garment called the Tallit. • It was a shawl like garment of wool or silk with fringes at the four corners. It was commonly referred to as a prayer shawl. • As a Jew, Jesus would have worn a Tallit regularly. • Therefore, in a figurative sense, Jesus would have had “wings” because of the edges hanging down from his prayer shawl. • Remember the sick woman in Luke 8 who snuck up behind Jesus and touched Him? • She had been sick all of her life. • She had spent all of her money going to doctors, but they had not been able to help her. • She had heard about the healing power of Jesus and believed that if she could just touch the edge of His garment, she would be healed. • She wove her way through the crowd and touched Him. • She instantly experienced healing from the “wings” of the Sun of Righteousness. • On that final day all who follow Jesus will finally be healed of all their physical sickness. • More importantly, on that day, all who follow Jesus will finally be healed of the sin sickness that has plagued us since our birth! • That will make us free from the burdens that have held us back and we’ll be like a young animal running around the field playing and having fun. • Hallelujah, what a Savior! • How can we be ready for that day? Verse 5 - See, I will send the prophet Elijah to you before that great and dreadful day of the LORD comes. • Malachi said we must look for the prophet “Elijah” who would prepare us to receive Jesus when He came. • This prophecy was fulfilled literally 430 years later when John the Baptist came and proclaimed that Jesus was the Messiah and prepared the way for the Jews to received Jesus. • Some people argue whether John the Baptist was the fulfillment of this prophecy or not. • We know John the Baptist was the fulfillment of this prophecy because the angel Gabriel said he would be in Luke 1:11-17. • Jesus also said John the Baptist was the fulfillment of that prophecy in Matthew 17:10-13. • But in a practical sense, anytime someone seeks to help another person discover faith in Christ, then God is using that person as a modern day “Elijah” in someone else’s life. • How many “Elijahs” helped us find faith? • Have we been an Elijah to someone else? • These are the days of Elijah! • We are the voice of Elijah crying out! • God is gracious and gives us many chances, but when the end finally comes we had better be ready because all our chances will be used up. • It is impossible to know when that end will be, so we should live holy lives in readiness for Jesus’ return. • When Jesus returns, it will be a great a day of healing for those who followed Him but a terrible day of judgment for those who rejected Him. • We must be an “Elijah” to help others find faith in Christ so they can be ready when Jesus returns. Each year there are between 170,000-240,000 new books published in the United States. 93% of those books will sell less than 1,000 copies. Less than 2,500 of those books sell more than 5,000 copies. Only 1,000 new books each year will sell more than 50,000 copies through normal retail channels. These are sobering statistics for those of us who are aspiring authors. People who think they will make a lot of money as authors should probably look for a different line of work. Those who think writing will be the pathway to fame most likely will be disappointed as well. Despite these challenging statistics, people like me who have a burning passion about something see writing as one way to get our message out. Writing books and blogging regularly helps expand our sphere of influence. There are only so many conferences one person can speak at and only so many breakout sessions one person can lead. Time restraints limit the number of people that can mentored in person or through social media. Therefore, if a person wants to expand their sphere of influence, writing is often the only way to do it. I have a passion to help small churches reach the next generation for Christ. So I wrote a book that helps pastors develop leadership teams in their churches so they can be more effective in ministry. As of January 3, 2011, that book has sold 750 copies. I am currently in the process of negotiating a "group sale" of 500 copies, which will push me over the critical 1000 mark. Even with that pending big sale, I am a long way from being a rich or famous author. Fortunately, being a rich or famous author is not my goal. My goal is for God to use me to expand His Kingdom in a way that I could never do on my own. Knowing that 1,250 people have been or will be influenced for the Lord through something I wrote is very moving to me. As I near completion of my second book, which is specifically aimed at helping small churches think through some very practical steps they can take to reach the next generation, I am filled with enthusiasm. A third book, which is a collection of Bible puzzles and games, is also nearing completion. I already have an outline written for a fourth book, which will deal with the advantages and disadvantages of bivocational ministry. My wife and I are already talking about a fifth book that will include a testimony about how our family was nearly killed by a drunk driver a few years ago. If each book helps a thousand people draw closer to Christ, my role in God's Kingdom will have expanded much larger than what I could ever accomplish without a writing ministry. That's why I write. To God be the glory. This is modified from a similar post I wrote in October 2010.